Entertainment is high on the list of activities at this year’s Kent County Show. Show Manager, Lucy Hegarty said “A day out is exactly what it should be, a whole day. The Kent County Show opens at 8am and closes at 6pm and we have entertainment throughout the day”. There are two Show Jumping Competitions each day, the fences start at 1.35m and climb to an impressive 1.6m. The standard of the course, experience of the riders and the quality of the horses makes this popular with visitors. The annual Show takes place on 12th, 13th and 14th July and on all three days the quality of the displays in the main ring means that many visitors take advantage of the ringside seating and watch a number of different spectacles. Not to be missed this year are ‘Joseph’s Amazing Racing Camels’, this exciting display takes place twice a day. Camel racing is a popular sport from the Middle East and has all the excitement of a day at Ascot. The louder the cheers, the faster the camels run or so we are told! The Astor Ring programme includes a parade of Vintage Vehicles, a display from the Cookham Bloodhounds and the magnificent Grand Parade of Livestock.  The new Country & Game Area at the Kent County Show will be hosted by the CLA. Entertainment plays a key role in this area. The Sheep Show, one of the funniest and educational displays in the country, sees the ‘Sheep Show Shuffle’. With all the sheep dancing it begs the question, how on earth do you train a sheep to dance? The Hawking Centre Birds of Prey free flying demonstrations take place twice a day. Bella the golden eagle and Bassett the peregrine falcon will be on hand to greet visitors and demonstrate their flying skills high above the Showground. The Sheep Dog and Duck display is an interactive display in which the intelligence of the sheep dog is matched only by the cuteness of the ducks. The new look area will also feature Harrietsham Ferrets, Ashford Valley Terriers, the Pony Club and Warrenby Gun Dogs. Adjacent to the CLA Country and Game Area will be the new Canine Area. The Kennel Club and Paws in the Park will play an important part in the area hosting a range of activities for our four legged friends. Lucy Hegarty, Show Manager explained, “Being able to bring your dog out for the day is a real bonus for Show visitors. We have Scruffts qualifiers for the first time this year with competitions for the prettiest, most handsome, best rescue dog, child’s best friend and the ‘Golden Oldie’ for dogs 8 years and over. Your energetic pet could also take part in Dash N’ Grab water based fun for those dogs that love being in water”. The Bandstand next to the large picnic area is a wonderful way to relax for a while and listen to some of the diverse bands and musicians that will be coming to the Show. Casablanca Steps are talented musicians and entertainers, who recreate the authentic music of the 1920’s and 30’s. Muddy River Soul and Blues Band are a locally renowned group, playing some of the best songs ever written. As you pass by you will no doubt stop and listen and maybe even join some of the audience members who feel compelled to dance.